Spring has sprung with beauty, but the allergy meds for my five year old are in full bloom unlike any other season since she was first diagnosed with multiple allergies and asthma. 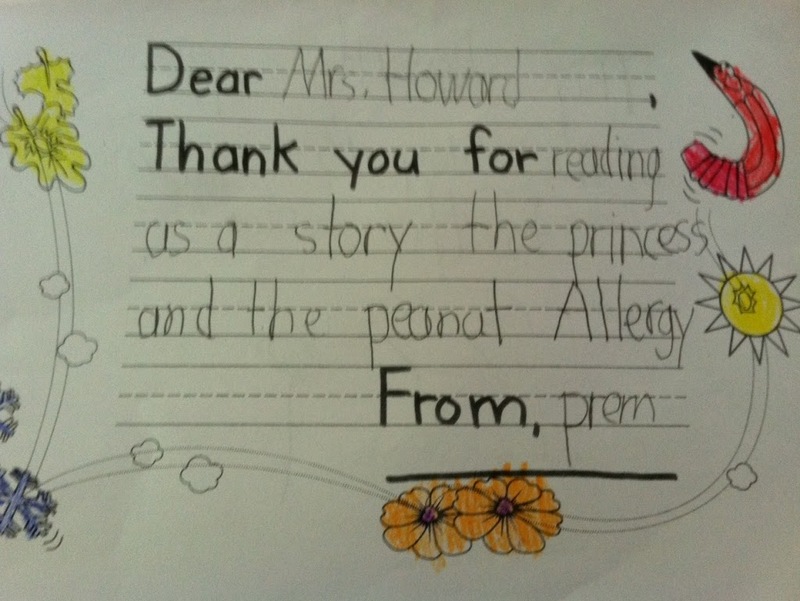 After reading to my daughter’s class, The Princess and the Peanut Allergy, my daughter came up to me with swollen, bumpy eyelids and said she wanted to go home. 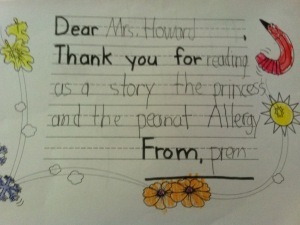 I was relieved to hear many kindergartners joyfully share knowledge about food allergies. I was even amazed at how one could describe his own nut allergies and properly pronounce a big juicy word like macadamia. Allergies have truly expanded our vocabulary at a young age. But I knew my reminder lesson for the day would be more about my daughter’s spring allergies and not about her food allergies. Swollen, itchy eyelids are just the prelude response to pollen, which is the known culprit to trigger asthma attacks during this time of year. So, we made a quick visit to the school nurse for temporary eye wash relief and headed to the pediatrician. The doctor listened to her lungs and heard no sounds of wheezing. Then she looked at the bumps around her puffy eyes and the eczema around her neck that suddenly reappeared after being dormant for months. This is when she pulled out the prescription pad, tapped the screen of the electronic medical record and started typing away. Now, we’ve been through the spring song and dance of inhalers, hydrocortisone creams and antihistamines for two years. But, somehow we never needed the tune of allergy eye drops until this day. Our doctor recommended an over-the-counter eye drop like, Zaditor, and prescribed another type of ophthalmic solution made by Alcon. Relieved to provide my daughter with some relief before the weekend filled with activities, I was ready to sprinkle a few drops of comfort only to my own discomfort and a true test of patience. Have you ever tried to give eye drops to a five year old? The maneuvers and tactics are unlike any other. “Look this way. Tilt your head. Oops, open your eye. Let’s lay down. Okay, just imagine rain drops falling in your eyes. It’s like splashing in a pool. Oh, I forgot you always wear goggles in the pool.” After many failed blinking attempts, we finally succeeded to get a drop in each eye. Within minutes she was smiling again. We made the best of her early dismissal day and went out for a late lunch. A day well spent in more ways than one after leaving the pharmacy. Four days later, her eyes are clear just in time for School Picture Day today. I’m relieved we’ve steered clear of any asthma issues thanks to understanding the trigger of pollen, but I’m still on high alert. Today is World Asthma Day and this experience is a great reminder that pollen is one of many triggers for asthma attacks. You can control asthma and thrive through all seasons. Spring allergies are only for a season, but the will of a mama’s patience is a lifetime.